Nick Morrison Jr. and his team have the knowledge and experience to solve the most serious basement water and mold problems. They have a 75 year family heritage of helping people in Western PA preserve the health of their family and the value of their home. D-Bug Inc. has been in business since 1939 and in the waterproofing business since 1984. The company employs experienced professionals and provides turn-key solutions from excavation, French drains and mold remediation to basement remodeling and landscaping. Our company is not a franchise or dealership as are other waterproofing companies. We are locally owned and operated. We will be here 5, 10, 20 years from now. 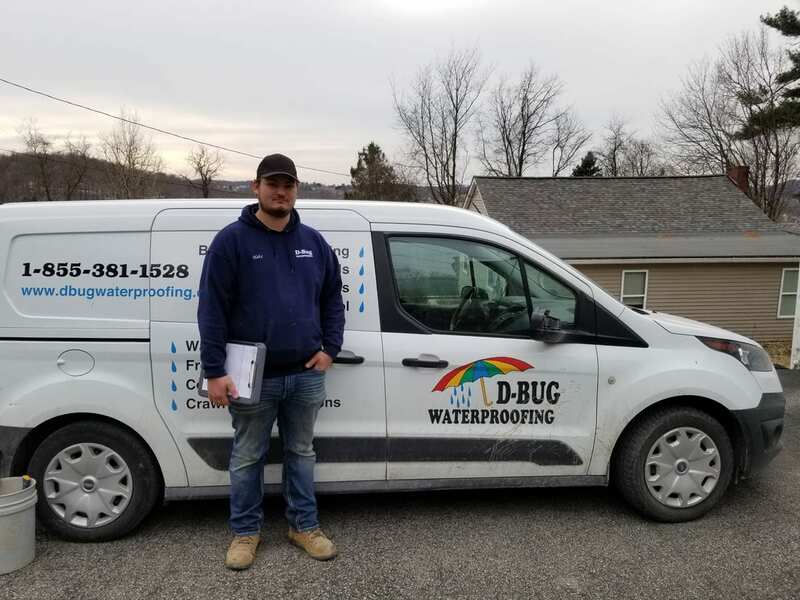 You will deal directly with D-Bug employees or owner Hugh (Nick) Morrison Jr. D-Bug Waterproofing gets the job done right the first time. We are committed to quality work, customer satisfaction, and you get great value for the services provided. D-Bug uses only our own highly trained employees to service customers. Also, D-Bug is fully insured to protect you, the property owner. Tools and Techniques to Stop & Prevent Leaks. . .
We are committed to securing the value, safety, dryness, and stability of your home with superior waterproofing solutions. But we don’t just stop there. Once we have dealt with the issues that once caused your basement to leak or put it in danger of water damage, we take it to the next level. Now that your basement is no longer in a state of emergency, we will remodel and refinish your basement. Walls, ceiling, carpet, shelving, insulation, wiring, and more – we do it all! D-Bug Waterproofing offers 12 Months Same As Cash! No Interest No Payments for 12 Months. Call us today at 1-855-381-1528, or click one of the buttons below! Since 1939 D-Bug has been a locally owned and managed family business. We employ experienced professionals and provide turn-key solutions from excavation, French drains and mold remediation to basement remodeling and landscaping. © 2019 D-Bug Waterproofing. All Rights Reserved. Website built and maintained by Chroma Marketing Essentials.